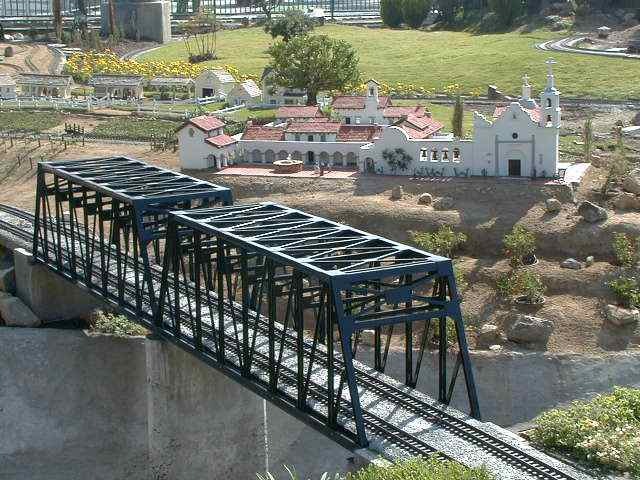 There are many bridges, viaducts and trestles on the display. 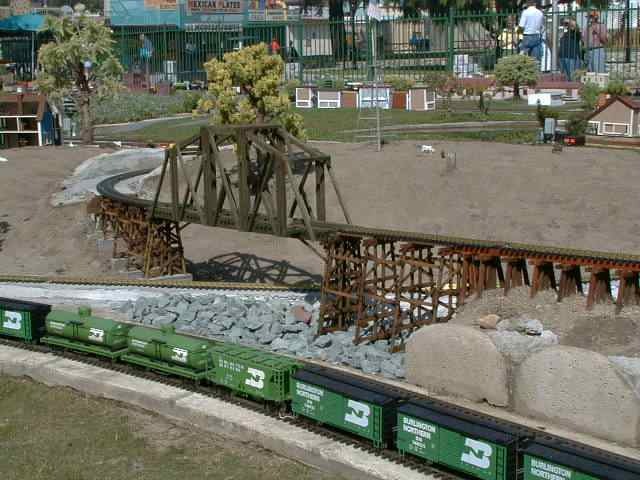 This steel bridge is part of the original display and has been providing good service for many years. This wooden truss bridge crosses a small lake near the backside of the display. This is another feature that is difficult for the public to see. 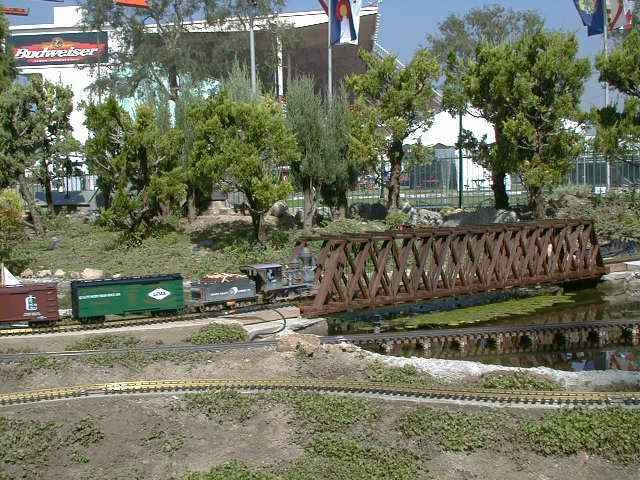 I believe that the wooden bridge is part of the original display while the trestle approaches are new. 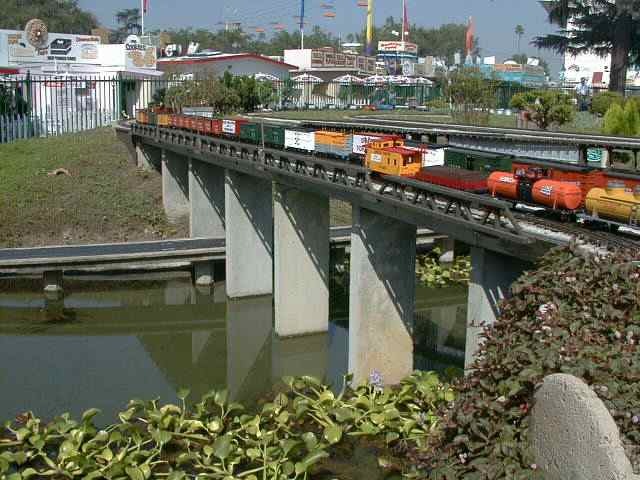 BridgeMasters provided several of the bridges and trestles in the rebuilt display. 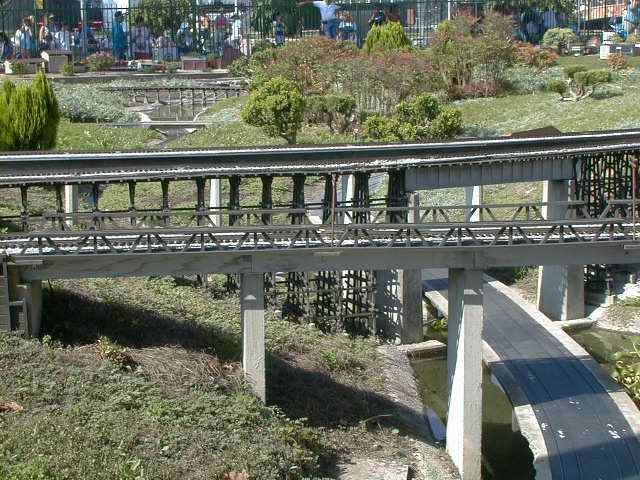 This is another view of the main viaduct in the southeast section of the display. This concrete structure crosses a lake at the foot of the dam and a section of the roadway. Behind the main concrete viaduct, there is a combination wooden trestle and deck bridge, another concrete viaduct and in the distance, yet another wooden trestle.